Over the years, bounce house rentals have been presenting entertainment to birthday parties, fairs, and backyards. Ideal for any child’s parties, these inflatable houses are rented in themes varying from dancing to sports to little mermaids. 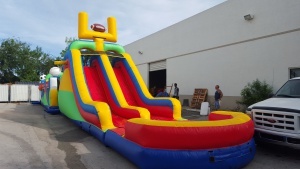 South Florida Bounce and Slide is one of the companies that is locally owned and professionally operated by a family business located in Boca Raton, Florida for almost 20 years from now. What Makes South Florida Bounce and Slide the Best? What makes this company the best, is that they offer a wide range of bounce houses in different themes and motifs, from colorful designs filled with air chambers, to places to bounce, slide, and jump around. Renting bounce houses is a perfectly easy, fun, and safe option for family bonding and birthday parties. South Florida Bounce Houses ensure that they provide a sanitized and clean bounce house. Game and concession stands provided by them will also be held to the same standards of protection and safety. They understand that the major concern of the parents who rent their bounce houses are the safety and protection of their children and the kids going to play on it. Thus, while they don’t want to pay more than what they have to, they make sure that they will not also sacrifice the quality of their service or the safety of the kids. House bounces are principally designed with a puncture proof and high quality of material to ensure that it will provide long lasting fun.House bounces with party themes from South Florida Slide and Bounce come with a wide variety of shapes, sizes, colors, designs and themes. You can effortlessly incorporate any of them that you want depending on the theme of your party and the available space. You can easily choose a variety of house bounce jumpers such as the Xtreme Sports Arena, Disney Princess club House Castle, Zoo Island Toddler Combo and so much more. Since these inflatable bounce houses comes in a large variety of themes and designs, you don’t need to worry about looking for the right inflatable jumper theme for your kid. Either you want pirate ships, sports, princess, castles and zoo safaris or any sort of theme; you can ensure your kid’s party to be a success. Bounce houses can simply be rented for those outdoor and indoor parties. 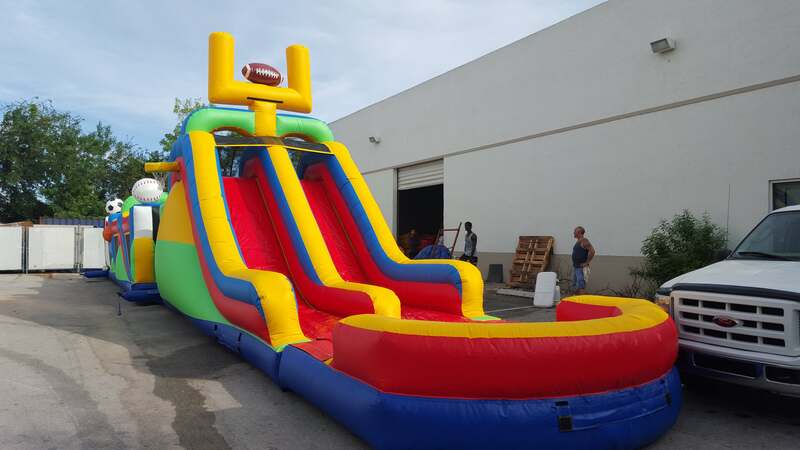 You can find countless companies out there but South Florida Slide and Bounce ensures your satisfaction will be guaranteed when it comes to clean, safe and high quality bounce houses at the most reasonable rates. Unique, affordable ad sanitized party rentals will absolutely make your whole event more fun and exciting for everyone. Bounce houses will not just provide the entertainment to your child’s party but also it will never go out of style. Stylish, unique and brightly colored bounce houses let your kids play and bring much happiness to their party.